Welcome to the forth week of Meet The Local. If you’ve been following me on Instagram, you may have already heard about the latest launch in St Albans – Darlish. Laura founded Darlish in 2016, creating and selling Persian desserts and the company is already award winning! 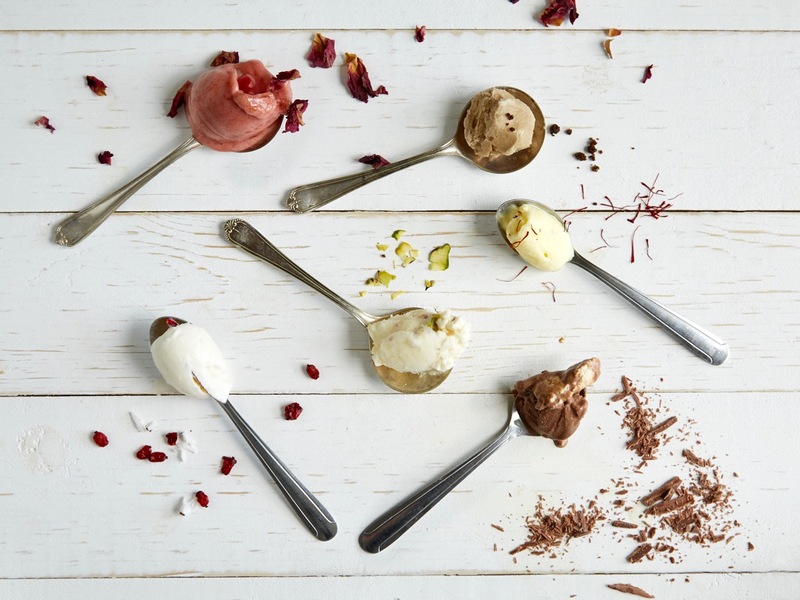 This Saturday she will be opening the first Persian Ice Cream parlour in the UK at 12pm at 5 French Row. The first 100 customers will receive their first scoop for free – so make sure to pop along. 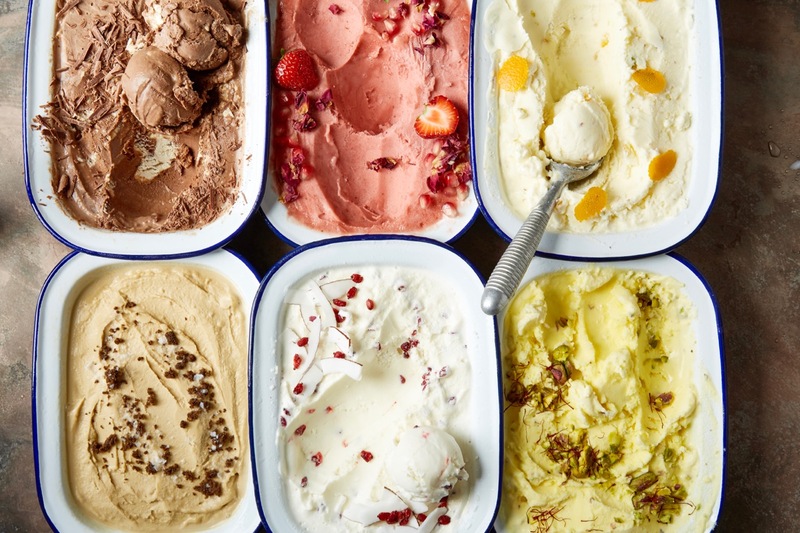 I personally can’t wait to try out some of the unique flavours – Chocolate Orange Halva and Rhubarb, Pomegranate and Rose, to name a few. The last couple of months… have been really hectic trying to get the ice cream shop up and running. I have had to be a jack of all trades! When I’m in a normal routine I like to get up early and first go to the gym or for a run depending on the weather before starting Ice cream production and product development. I eat more ice cream than I should! I still work 2 days a week as a speech therapist so evenings are spent somewhere between report planning, and thinking up new ice cream recipes. After a hard days work I like to relax with a glass of wine and a TED talk. 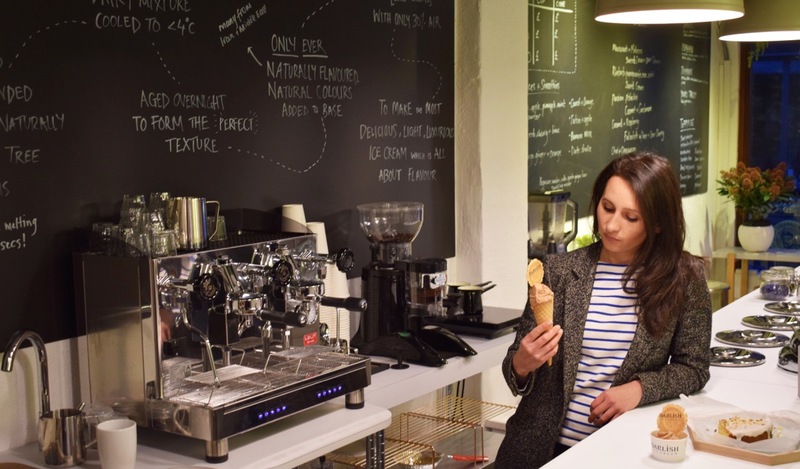 The one thing do I love most about my job is… the science and creativity which comes with making ice cream. I can taste what the flavour combination will be like in my head before I have made it, so I spend hours thinking and sometimes dreaming about what to make and then doing it. Ice cream is such a wonderful experience and it brings genuine joy and excitement to all people from anywhere in the world unlike any other food. Being able to use Persian produce means a lot to me. Every flavour brings back a strong sense of nostalgia. I ended up working in my current job as… I worked for many years as a speech and language therapist but wanted to try my hand at something new. I’m half Iranian and always loved the cuisine so desserts and ice cream seemed like a natural choice. 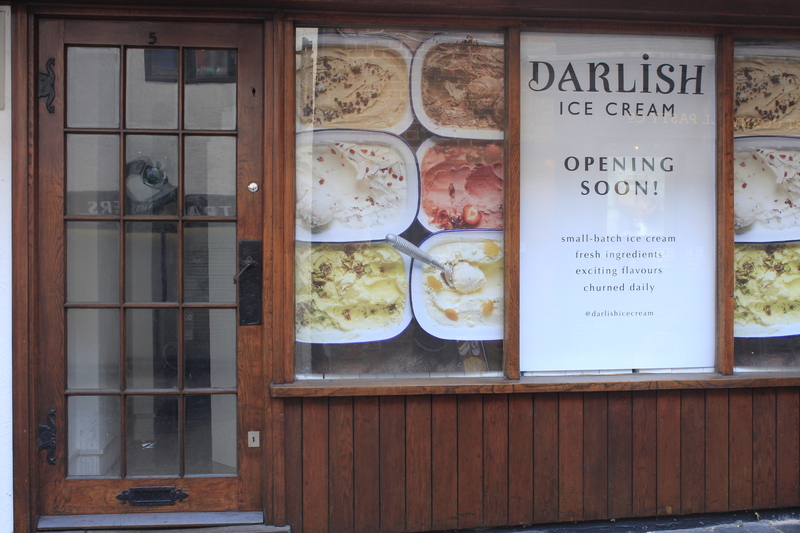 I started Darlish selling directly to retail and was soon stocked in Selfridges, but when I saw that 5 French Row was available I couldn’t resist the opportunity to open an ice cream parlour. I grew up in St Albans so it was such an amazing thing tobeing able to do it in my hometown. Ice cream logistics/any frozen product is not simple to produce so to start I wanted to be close to home. I’m often up until the early hours of the morning trialing/making batches (as I am now!!) so I need to be closer to my bed!! The best piece of advice I received was surround yourself with people who build you up and bring out the best in you. My most memorable memory is a close call between listed at Selfridges after dropping off desserts in-store to the buyer and getting the confirmation that 5 French Row was ours! That and telling the Tesco frozen buyer it was lovely to meet her and her husband’ only for her to tell me it was her dad. Memory of St Albans: The old Pizza Hut at the top of town at the end of the school term. I was the one who took the unlimited soft serve deal seriously! Huge thank you to Laura for taking the time out to answer all my questions, especially when the launch is so close. I’ll be sure to follow up with photos of the Ice Cream parlour very soon. Andy, the street cleaner; Jonny from PudStop; Charlie from Charlie’s coffee; Sarah, Curator at the museum, Fiona from Hedges Farm, someone from the Cathedral, the Odyssey, the Masorti synagogue, the Islamic Centre on Hatfield Road…and many more! Thank you so much Tom – some fab suggestions! !